Congratulations! You’ve decided to become a ukulele player! I hope your experience is as easy and fun as mine is. The first thing you have to do is beg, borrow, or steal a ukulele. Make sure it’s a real one; a soprano, concert, tenor, or baritone ukulele; not a toy one. That’s important. If you can’t get a free ukulele, buy yourself a beginner ukulele. Don’t spend a lot of money; this is not your forever ukulele. You might be one of the people that buys one and doesn’t practice, never finds joy, and leaves their instrument buried in the closet. Don’t spend more than USD $60. I recently recommended this one to my cousin for her daughter (my lovely niece); it’s nice looking, inexpensive (USD $50), and comes as a kit with case and a tuner, among other things. It’s also a respectable brand; if and when my lovely niece reaches stage two below, she will be able to sell or regift it. I also recommended this one to my friend C; she was so happy with it that she went and learned a song right away. It’s also nice looking, a cheerful color; equally inexpensive, sold as a kit with case and tuner. It’s the same respectable brand. Also, it is hard plastic, which makes it water resistant and a good choice for situations where you might want a more durable instrument, such as school or travel. I’ve played this instrument before; I was very pleasantly surprised at how nice it felt and how great it sounded. It comes in other colors as well. When C goes on to stage two below, she can sell or regift this instrument as well; alternatively, she could keep it as her travel instrument. It would be great to start your ukulele career with a tuner and case. You will also need a phelps screwdriver, to tighten the screws on the tuning pegs, so that they don’t slip. You’ll also need a teacher, a ukulele mentor, or beginner book. You might be able to find some great beginner resources online as well. Here’s some things you should learn in stage one: how to tune with a tuner, how to strum, how to hold your instrument so that your left wrist is straight, how to do some basic chords. How to find some chords you like online. Practice every day, or as much as you can. It will be a little awkward at first; the more you practice and the more you talk to mentors, the better and more comfortable you’ll become. By this point, you have a handful of songs memorized. You’ve practiced so much that your hands and ears have grown accustomed to your starter ukulele. Plan to spend USD $200-$500. If you spend more than that, it’s your business. The instrument you pick out might be your forever ukulele, but… I’m just warning you… it probably won’t be your last; so don’t spend too too much. I’m not going to give a lot of guidance at this point, you’ll have your own ideas, and your teacher and/or mentors will help shape your decisions. The important thing is that now that you know you’re a real ukulele player (and not one of those people that buys an instrument and buries it in the closet) and you know a bunch of basic chords, your ears and your hands will have opinions about what your stage two ukulele will be. Go to a store with a bunch of ukuleles on the wall, like Dusty Strings in Seattle or Boulevard Music in Culver City; Hale Ukulele in San Diego. Take a ukulele peer or mentor with you, and play every ukulele in the store; or at least every ukulele that calls to you. Pick out something nice; this is the ukulele that you’ll play at concerts or too impress other people. It’s probably too nice to take camping with you but it’s the one you’ll want to take on stage with you; the one that will make you happy every day. Stage Three is a desperate stage of ukulele addiction, where you keep finding more and more beautiful ukuleles that you have to buy. I’m trying to stay out of stage three; I can’t afford it. You’re on your own. Hope you have a lot of money. My stage one starter was a Kala Makala tenor. I started on this one, learned about chords and strumming. Once I got to stage two, I found myself never playing the starter anymore, so I sold it for $35 to my friend K. I hope it’s a blessing for her. Once I had my first stage two ukulele, my fingers never wanted to play the starter again. My stage two ukulele… my FIRST one, that is… is a mango Magic Fluke, a tenor. I wanted something durable that would sound good and be durable enough to keep in the classroom. I’ve been getting a lot of practice on this one lately because I have to supervise the courtyard at school most mornings. My second stage two ukulele is the chestnut Magic Fluke Flea, a concert. This is my travel ukulele, I take it with me when I travel so that I never have to skip a day of practice. My third and final ukulele is a classic tenor Lehua. This is the instrument I practice with at home, and it’s the one I’ll use giving a concert. I don’t need to buy any more ukuleles. When I hit the Powerball or MegaMillions I might go to U-Space in LA’s Little Tokyo and buy one of those USD $3000 handmade ukuleles that weighs as much as a taco and rings forever. To be honest I’m coveting that USD $40 sea foam green Waterman that I recommended to C above, but I really have everything I need at the moment. This post is dedicated to my dear friend Okada sensei, who asked for some guidance on starting a joy-filled, life-long ukulele habit. 頑張って! Step one: put a pot of pasta water on to boil. Step two: get stuff ready. Prep your Italian parsley, mandolin your garlic, crush your whole black pepper corns in you mortar and pestle (if you’re not using dried chile flakes). Open your can of clams; don’t lose a single drop of that clam juice. Tell your dinner companions to wash their hands and set the table. NOW. Scream at them if they try to find something else to do. Step three: cook stuff. When your water boils, salt it with a fistful of salt, enough to make the water taste salty. Drop in your spaghetti. In a saucepan, toast the black pepper or chile flakes, add more olive oil than you think is necessary, and then drop in the garlic and clam juice (but not the clams). Simmer it on medium low or whatever. Step four: marry it all together. When the spaghetti is al dente, pull it out of the water with some tongs or a spider strainer together and drop it into the saucy saucepan, along with a ladle or two of pasta water. (You’re done with that pasta water now, use it to boil something else). In the saucepan, turn the flame up to high and start stirring. This is a good time to add a little more salt, if your water wasn’t salty enough. So now you’ve got a saucepan full of all your ingredients over a screaming hot flame. Scream at your companions to sit down at the damn table. They might try to get everybody’s drink order, you tell them SIT THE /F/ DOWN and wait for their pasta. Your job is to stir and reduce until that liquid has condensed into a thick film of a sauce. Keep stirring, pulling the pan off the flame occasionally and blowing on it, releasing clouds of steam. Keep stirring. Keep stirring. Stir until the sauce clings to the spaghetti; to the point that when your spatula scrapes the bottom of saucepan, the sauce is so thick that the spot where you scraped stays dry. Now drop the clams and half of the parsley into saucepan together and give the whole thing a final stir. Get it all nice and distributed. Step five: dish it up. Lift the finished spaghetti out of the saucepan with the tongs and lower it into the serving dishes, turning your plate with your free hand so that the spaghetti pile falls into a tall twist. Finish the dish with a drizzle of expensive olive oil and a pinch of Italian parsley. Tell your dining partners to eat NOW. If they do something stupid like try to start a prayer or something, slap them on the hand and tell them they should have prayed two minutes ago. It is DISRESPECTFUL to let this get cold. If they complain that it’s too hot to eat right away, GOOD, you have done your job. They have to eat it at the exact moment that it’s tolerable for them to eat, and not after. If they let your pasta get cold, ask them why they don’t respect your effort to get hot food in front of them. Make a note to yourself never to make this dish for them again. Let them reheat a slice of pizza or some garbage, they don’t deserve hot spaghetti with a can of clams. Don’t waste your effort on someone who lets your hot food get cold; give up on them. Peanut butter and jelly next time. Cold rice and ketchup. Soggy bowl of Cheerios. Who cares, they don’t know how to act. By request, I made a 60 second video showing how I do the #AsianSquatBombs. Use a tripod or not; just make sure the selfie cam sees you. After that it’s a matter of using the auto-timer. Make sure your heels stay flat on the ground. I think it’s considered more terrifying if you can keep your feet and knees together. It’s considerably easier to do in shoes, especially if the heels rise at all. It’s more challenging (for me at least) to go barefoot. When you post your own, please use the hashtag #AsianSquatBombs (plural) and the more general #asiansquat. I feel like I have some students and friends whose policy is to ignore the accent marks in Spanish. If I tell them, “copy this word: más” they will write the letters “m.a.s.” When I ask them why they didn’t copy the á with a tilde over it, they will either burst into tears or immediately attack me with a punch to the neck. Look, I don’t care about proper Spanish. It is my job to teach it to students, but in life my friends write me however they want, I don’t go after them, they’re my friends. I do, however tell my students they should learn how to write them, because a) it’s not hard and b) there are people who will write them off as pochos. I, as their teacher, wish them success and wish that other people didn’t write them off as pochos. I tried to be gentle about it, but I had to start bringing the hammer down when they were writing like “mi familia es muy orgullosa de ser de Mexico” (sic). Folks, you’re not really representing pride in Mexico if you’re writing me-HEE-co in Spanish. In Spanish you have to write “México.” A huevo. I know that this is an issue with heritage Spanish speakers, the accent mark looks arbitrary to them, and they go into shame spirals when someone exposes them. I’m not trying to put them there. So I tried to develop helpful graphics. Here’s the latest. I’m not sure if they’ll find this helpful or if it will stress them out. The following are two examples of flow charts that I made. When I showed my latino friends, they told me, no, these two are way too stressful. This final one is organized by final letter, and my latino friends were less stressed out by this one. So I added sight gags to it and passed it out to my students. I also passed out little game chips to them, and forced them physically move the chippy along the arrows, and when they did, they got to the right answer. However they hated it (and me) with a passion and as soon as I wasn’t looking went right back to brute force guessing. Baby steps I guess. If anybody wants these on PDF please email me and I’ll be happy to share; or find the links on my Spanish resources page. If you’re using my material, I’d love to hear how it went over with your students. By the way, when I learned these, it was three rules organized as bullet points in a paragraph. At this point in my career, I don’t have rules memorized, and I don’t need graphics; I just hear where accent marks are supposed to be written, even if it’s a word I never heard before. I’m still trying to figure out how to teach my students to hear where an accent mark goes. I suspect the answer will have something to do with them listening. I didn’t learn to read until I was in graduate school. Because of Noam Chomsky. Sure, I was in the highest reading group in first grade, and I certainly had to read books in high school and write essays about them. In college I was reading my textbooks and passing my classes and I thought I was doing pretty good. But it wasn’t until my second year of gradschool that I actually learned how to put knowledge written on the page into my brain. Before that, I had been reading negligently. My mama tells a story about how when I was very little, less than two years old. I used to guess long words by the first few letters, and then relative length of a word. So once when I was waiting in the car, I read a sign in the parking lot of the old Point Tavern in Tumwater and got scared. The sign seemed to read “CHILDREN TO GO” and I immediately asked my mama, “where’s dad, I want to go get him.” My mama, because she is hilarious, told me I couldn’t go in there, because Russians. The thought of Russians terrified me, what with their insane recursive dolls and their unnatural love of literature. The chicken was really good there. No actual children to go. Also, no actual Russians. There were no actual Russians at the Point Tavern in the mid-1970s, they were just a boogyman token, meant to keep me out of the Point Tavern. A few minutes later, my dad came back to the car with a bag of fried chicken, and my mama told the story to my dad about how I had misread the CHICKEN TO GO sign. Another time, in high school Honors English, Mrs. M had a test question based on READING, something she hadn’t gone over with us in class. The question was, what were peering at us in the night like red eyes in the Red Badge Of Courage? The answer, of course, was enemy campfires. Everybody had gotten it wrong except for April W. (and maybe Jonothan C.) April gave some ridiculous explanation for her correct answer; she said she remembered the image from her reading. Remembered it from reading? Gross! Teenagers are disgusted by things they don’t understand. Anyway, I wondered if remembering something you read was a learnable skill. For most of my life I had been reading everything and remembering nothing. I used to laugh when I’d get reading assignments, because I would do the reading, and understand nothing about what I had read until we discussed it in class. That’s how I scraped by. Finally, I found myself in my second year of graduate school, in an advanced syntax seminar, reading Chomsky’s Minimalist program. Our prof asked each of us to lead a discussion on a chapter. This is a terrifying task to someone who has gotten through life without any retention. I needed to find a way to retain what I read. So what I did was to fire up my Microsoft Word and set it to outline mode. I numbered each paragraph on a page with a pencil. 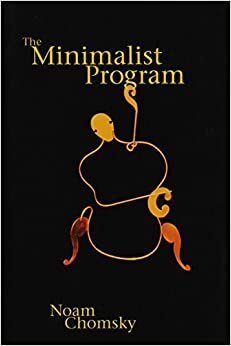 Then I would read a paragraph from the Minimalist Program, and summarize each paragraph with a single sentence, carefully noting the chapter and paragraph number. Occasionally I’d have to add a second sentence to include more detail, but the premise was this: every paragraph has a point. My job is to paraphrase that point. The process was tedious at first, but the effect on my comprehension was IMMEDIATE. When I got to seminar, I went from being the guy who was faking it to the guy who had understood the reading. My classmates would later tell me that I seemed thoughtful and well-prepared for each seminar; something I had never been accused of before. Eventually, I got pretty fast at summarizing paragraphs that I had read. My mindset shifted; reading was no longer something I did with my eyes. I came to think of reading as something I did with my fingers on a keyboard. If I hadn’t outlined a passage I didn’t consider the passage as read. At the time, I never had time to review my reading notes outline. I would type out the outline and then hit save and then never see it again I was always too slammed to find time to open them again. However, my retention had improved so much that I didn’t actually need to look at my notes a second time, and I was aware of this. Apparently processing the information a single time by summarizing each paragraph was enough to make it stay in my brain. I had finally learned the secret of retention, six years after April W.’s enemy campfires glowing red like eyes in the night. Discussion questions. What the hell is the point of reading if you can’t retain? Also, why hadn’t anyone taught me to take reading notes before? Also am I a total freak show for needing to summarize and type in order to understand Chomskey? Ask me later about how I learned to take notes. Click through to see complete slide show. I spent my morning staring at some numbers. A few years ago, a friend of mine had a certain conversion table committed to memory. He wasn’t doing an operation mentally; there was no multiplying or subtracting, which I hate. Instead, he said he had memorized it one day in an airport lounge during a layover. I was dazzled by this talent. Dazzled. I thought, if he can do it, then I can do it. So I started trying to commit the table to memory, because if my friend could do it, I can do it too, right? Well, I’m almost there. But in the mean time, I discovered this shortcut. Click through to see the complete slide show. Dear Amber told me this years ago; I’m still tripping on it.